So, I'm sharing with you guys one of the latest Meatless Monday recipes I've tried. It's a vegetarian lasagna and it came out GREAT. For some, going meatless (even once a week) can be a challenge, and this recipe is probably the first I would suggest someone to try. 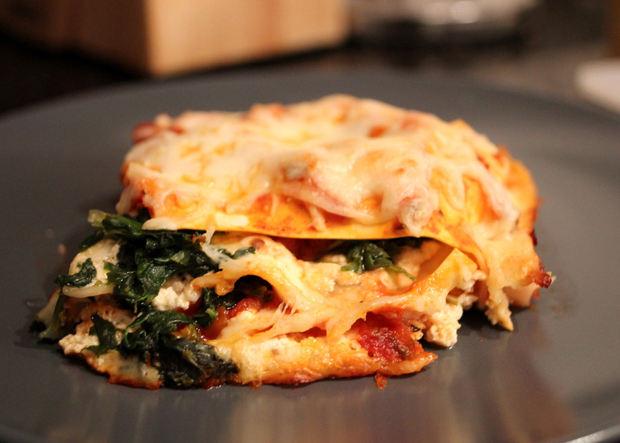 You can't go wrong with lasagna, with meat or without meat! In this case, what makes a meatless lasagna so great is that you can completely go overboard with the cheese, which kind of makes up for the "no meat" aspect. It's a great way to ease into meatless, in my opinion. I got the recipe off of Pinterest (surprise surprise), and made a couple minor tweaks: (1) I sliced up zucchini really thin, and included that in each layer, and (2) of course, I use way more cheese than any recipe calls for. That's it. 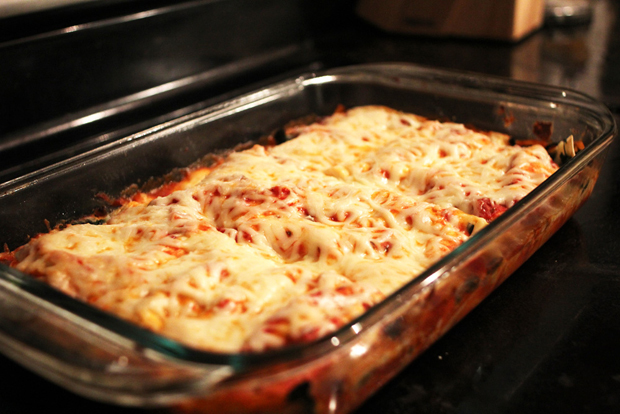 Oh, and I used lasagna noodles that were specifically labeled "no bake" and without the little ridges. They were just thin flat sheets of dried noodle. Feel free to use whole wheat noodles as well, for even more health benefits. I didn't really feel the need since this was already "vegetarian". i'll def. add this to my list! Yay! I finally posted my veggie lasagna too! I'm going to link to one of your other meatless food posts. And I'll be trying this after I try one of your other meatless dishes first! looks pretty good! I've made vegetarian lasagna in the past and I use the vegetarian meat crumbles by Morningstar in mine with spinach. I may have to try this recipe though. Looks super yummy! I will have to try it!